You may hear the word "hygge" thrown around about at this time of year. It is a Danish word that that is used to describe a way of well-living. In practice, it is a way to make your living space more inviting or cozy. 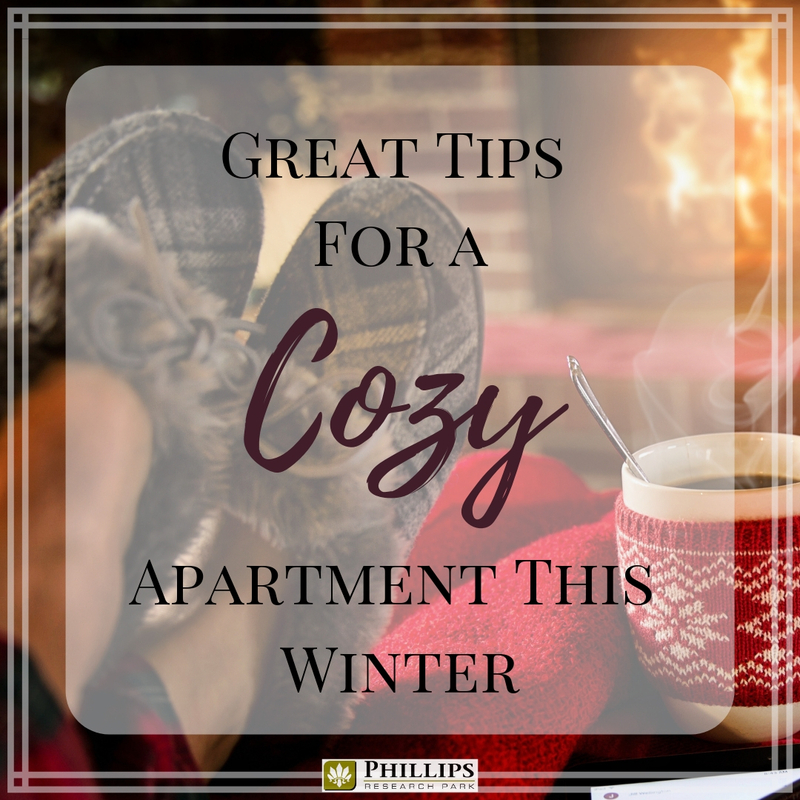 Since we want you to live well in your apartments in Durham, NC, we thought we would jump on the hygge-bandwagon and give you some tips on how to make your home a little cozier this winter! These ideas are fun while still being (mostly) practical. They will make you want to snuggle in with a comfy blanket for the duration of these chilly months. Speaking of burrowing in under some comfy blankets, when was the last time you found a blanket you really wanted to snuggle up with? Part of keeping cozy during the winter is having a soft and warm throw ready for you in your living room. When it is time to kick back and watch some Netflix, your blanket will be up to the challenge. Wool will keep you super cozy if you like to keep your Durham apartment on the cooler side (great for your energy bill!). However, unless it is a blend, it won't be the softest on your skin. Fleece is super soft and easy to wash! Don't settle for just one cozy blanket, unless you are willing to share. Have you ever noticed how cozy and intimate a restaurant can be when the table is tucked into a dark corner and the majority of the light comes from tabletop candles? 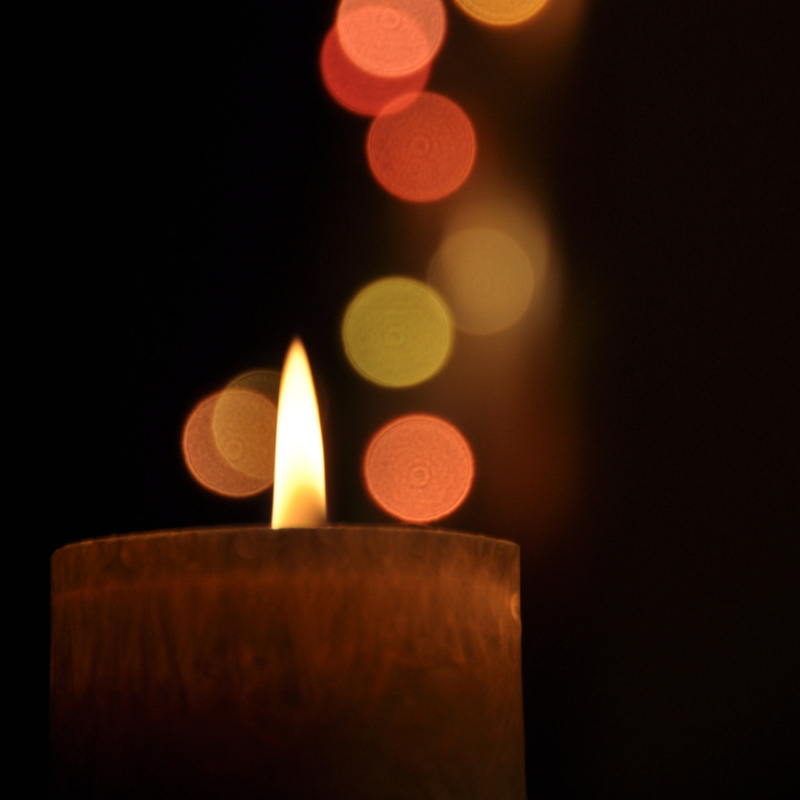 Recreate that same comfortable feeling with a few candles placed around your living room. You can use them to add ambient light, so much cozier than that bright overhead. Plus, if you get ones with a lovely winter scent, you can add an extra layer of cozy. Cinnamon, pumpkin, apple, and fir tree make excellent aromas for this time of year. Create a little nook or nest in your apartment in Durham, NC! In hygge tradition, it is called a hyggerkrog, but nest or nook will suffice. Find a little space in your home that you can use to create your own special spot. It doesn't matter if it is a window seat, a corner of your bedroom, or a little spot on your couch. The goal is to surround this little space with your comforts like the throw blankets, candles, a book or two, and a place to put your tea or cocoa. It is your safe space to hunker down and shield yourself from the brutal winter chill. Our Durham apartments here are Phillips Research Park do not have fireplaces. However, there are "fireplace" alternatives that you can make use of it this winter! The first option would be to play a fireside YouTube video loop on your TV. 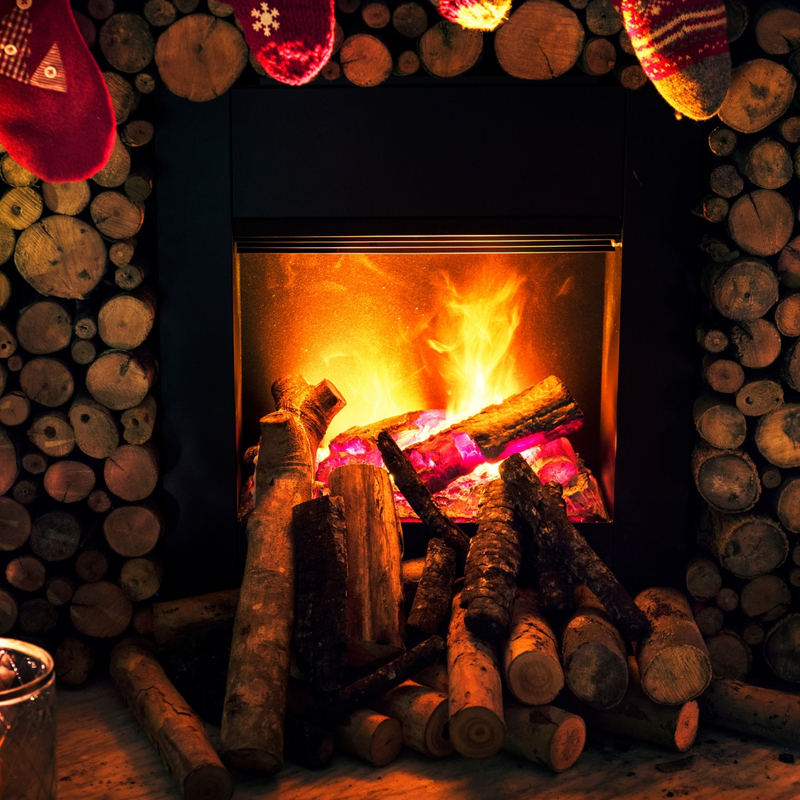 Click here for a 24/7 crackling fire with instrumental holiday music. Another option is a free-standing electric heater that looks like a wood stove or fireplace. They serve as a source of heat and are oh so cozy. Add a chair or a floor pillow so that you can sit in front of the "roaring flames" and enjoy your cozy space. Even without a real fireplace in your apartment, you can get your roaring fire fix at a lot of the local restaurants and cafes in town. Consider spending an evening at Bull Durham Bar. It has a super cozy atmosphere with a fireplace. A date night enjoying cocktails by the fireplace is the perfect way to top off a cold and gray winter day. If your apartment in Durham, NC are currently only sporting the blinds that were installed when you moved in, you are missing out on a ton of coziness! While the sunbeams that shine through during the day definitely add to the warmth in your home, when the sun sets, the chill coming off the window can be extreme. Pick up a set of curtains at your local department store, and you can block out some of that chill on these long winter nights. Even if you choose not to keep them up all year round, it will add that extra bit of coziness you are seeking for the winter months. Curtains can be found in literally every color and design you can possibly imagine. However, if you are handy with a thread and needle, you can try making a few sets of your own! Make use of your slow cooker, and you can have a thick and hearty soup or stew waiting for you at the end of the day. You will get home from work, and your apartments in Durham, NC will smell of the most delicious flavors. It will feel like instant coziness as soon as you walk through the door. 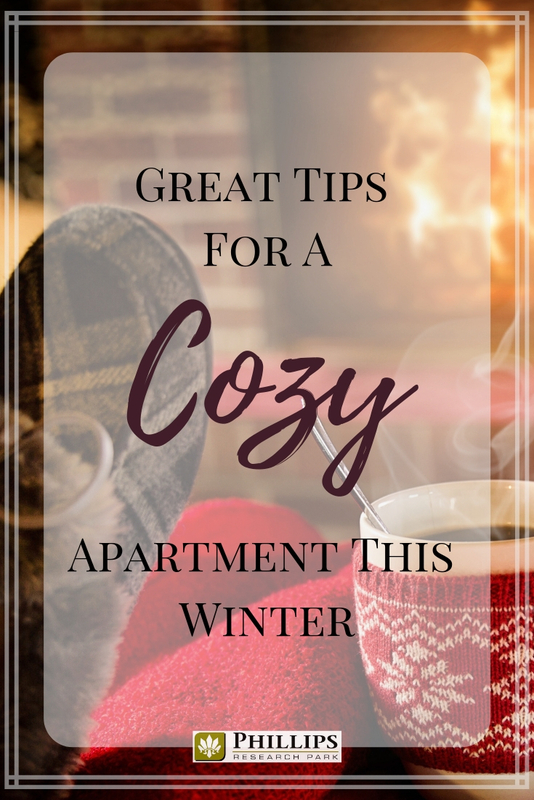 We hope these tips we will all have our apartments in Durham, NC the coziest in the entire state! Get your blankets, your yummy-scented candles, and create your nook. It is time to tuck in for the long Carolina winter ahead!